In this inventive collection of stories, Chris Adrian treads the terrain of human suffering--illness, regret, mourning, sympathy--in the most unusual ways. A bereaved twin starts a friendship with a homicidal fifth grader in the hope that she can somehow lead him back to his dead brother. A boy tries to contact the spirit of his dead father and finds himself talking to the Devil instead. A ne'er-do-well pediatrician returns home to take care of his dying father, all the while under the scrutiny of an easily-disappointed heavenly agent. With A Better Angel's cast of living and dead characters, at once otherworldly and painfully human, Adrian has created a haunting work of spectral beauty and wit. 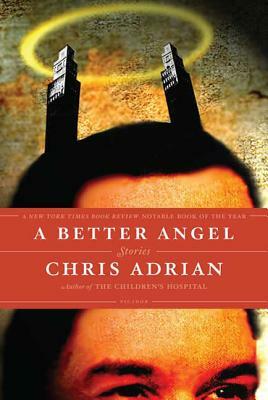 Chris Adrian is the author of Gob's Grief, The Children's Hospital, A Better Angel, and The Great Night. Selected by The New Yorker as one of their "20 Under 40," he lives in San Francisco, where he is a fellow in pediatric hematology-oncology.